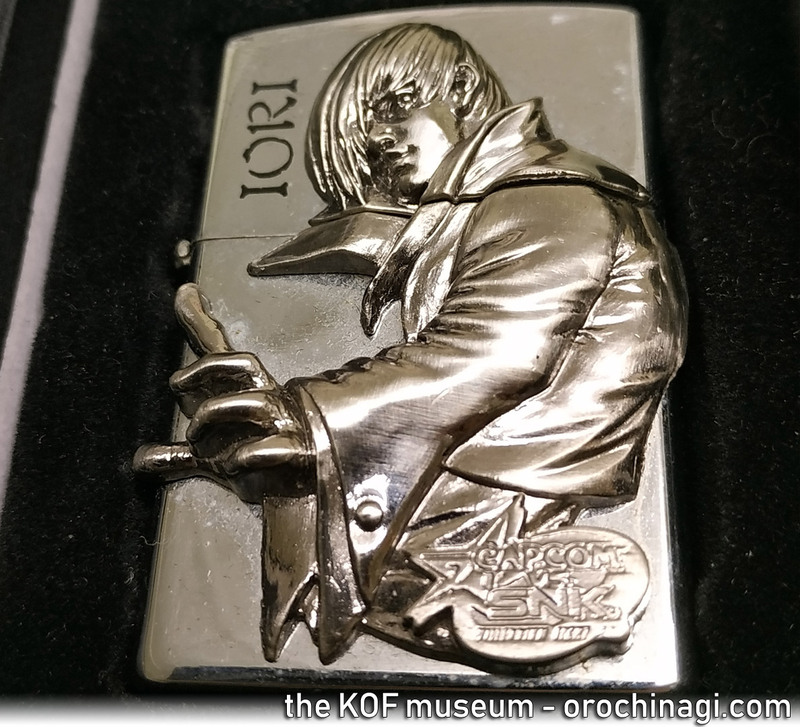 While it may no longer be cool to smoke, back in 2000 this was an incredibly expensive way to show a rebellious spirit, with the added bonus of being able to wield the power of flame, much like the red headed anti hero, Iori Yagami. 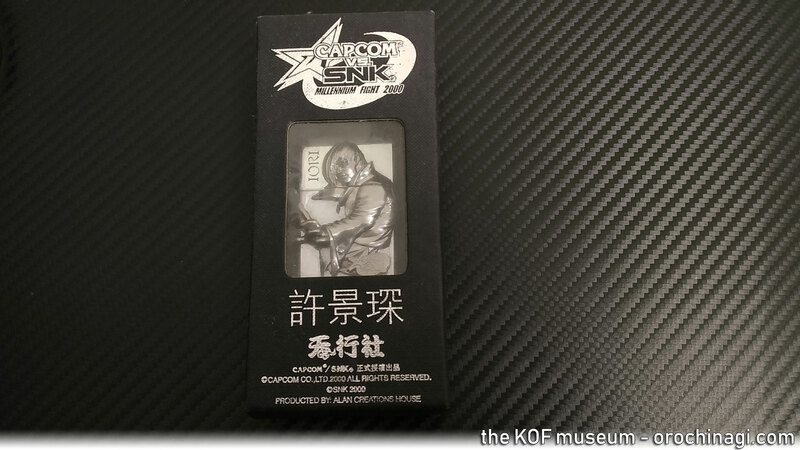 Coming in a simple presentation box, the writing would suggest it was aimed at the Hong Kong Market (seems to be Chinese not Japanese). 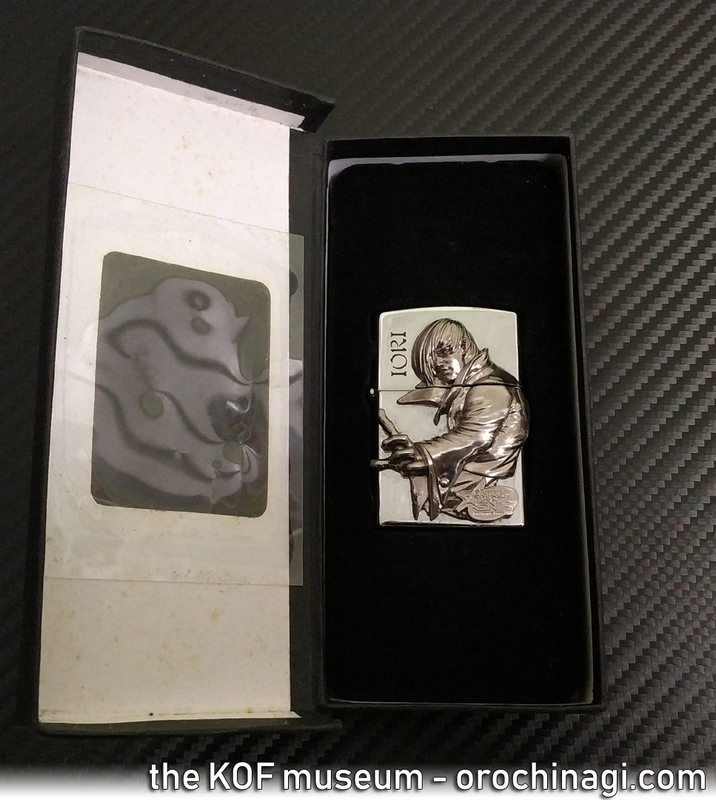 It stands about 56 mm tall with rounded edges. It feels heavy and solid. 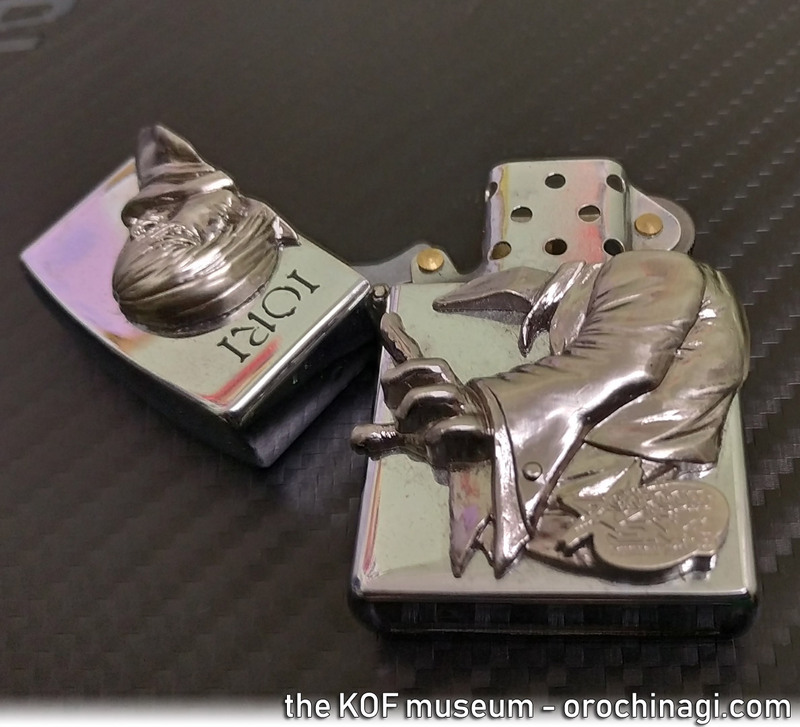 Based on the famous zippo lighter, this isn’t made of brass but seems to be pewter, if you can see the mark on the inside of the top which is due to the copper component. 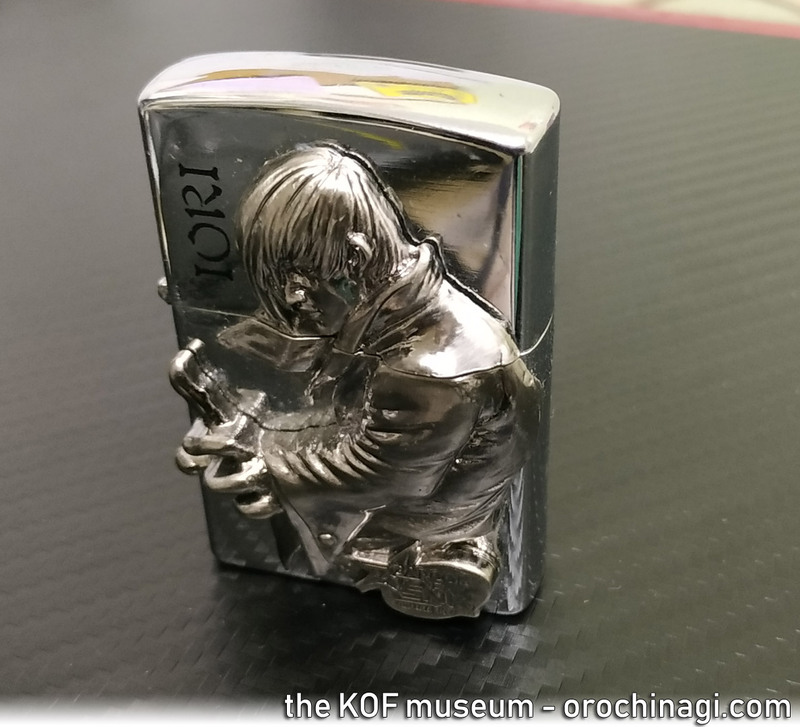 Pewter is usually used for figure type decorations. 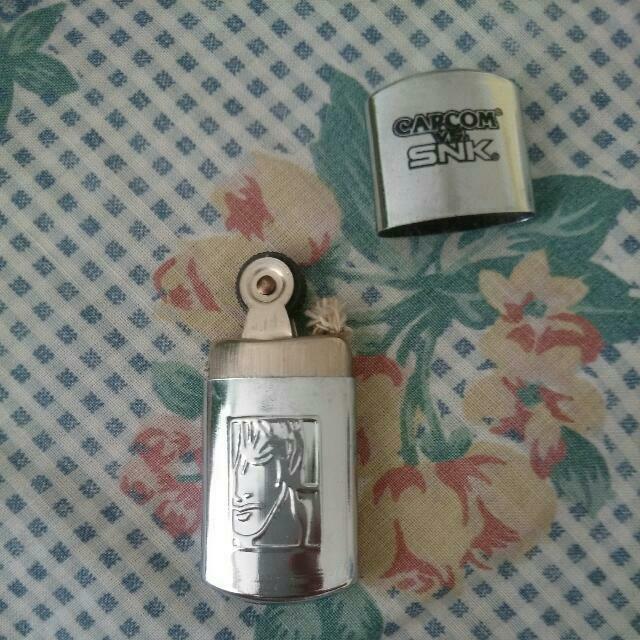 The pewter design is actually fragile and this part came off so if you manage to find one of these lighters, treat with care. Alcomics?? Ltd 2000, All Rights Reserved. 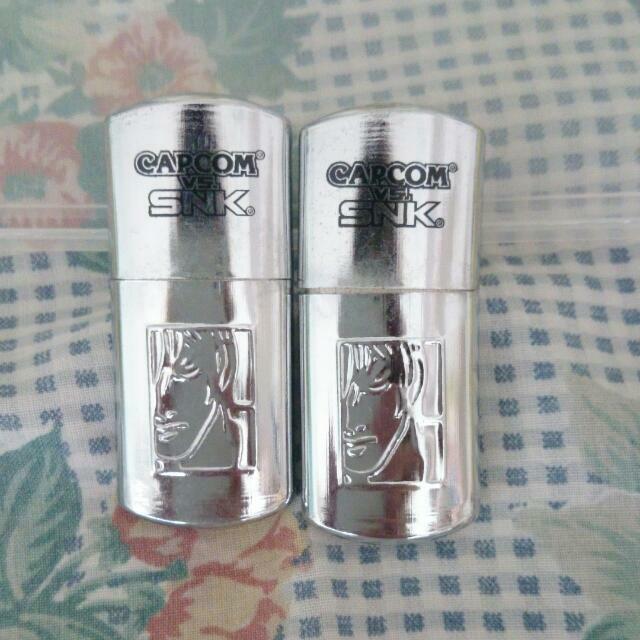 As can be seen, the print rubs off with time and use. Underneath, it is printed “ALAN ®” but with such an amibiguous name, it’s hard to find any record of the company. 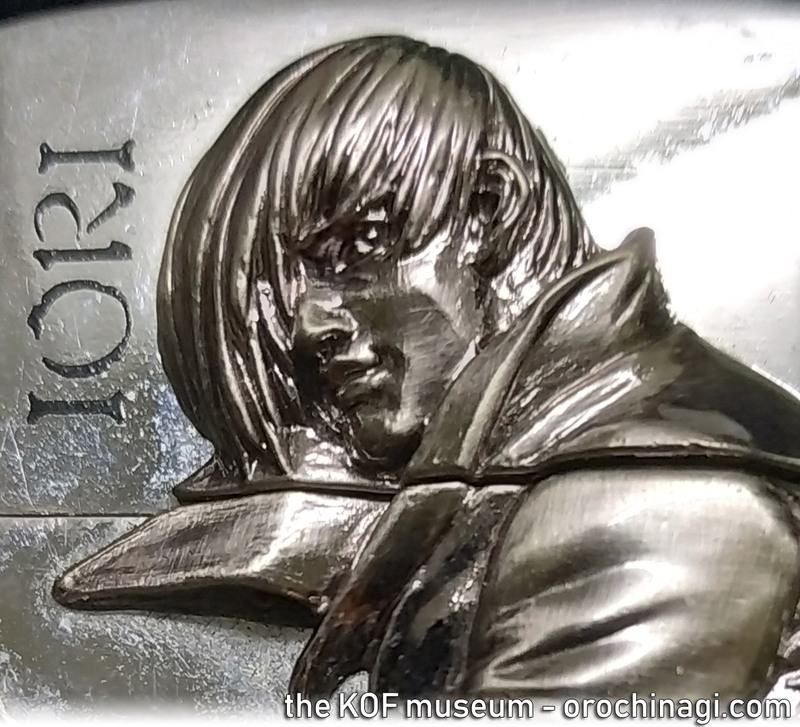 It is an excellent pose, capturing the style of Iori very well. 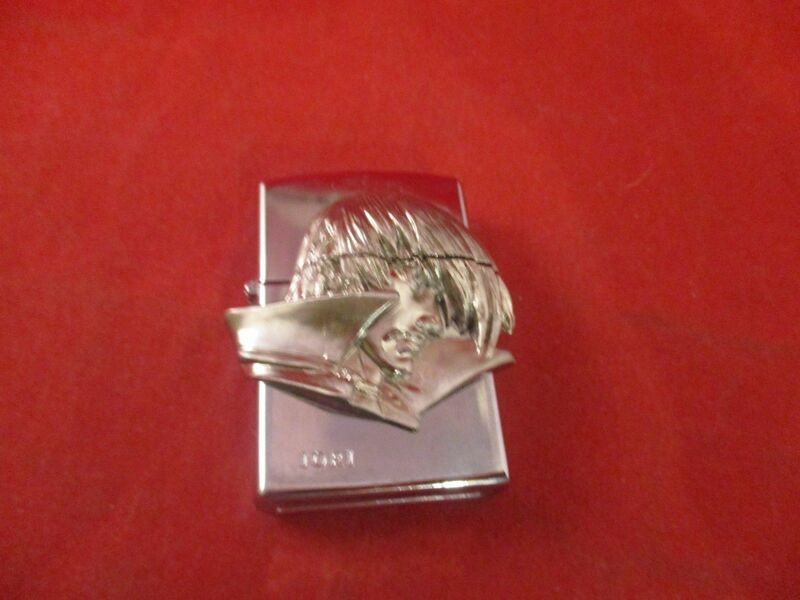 The style is true to Yagami’s likeness and very pleasant to look at. The skill to sculpt the detail at this size is admirable. 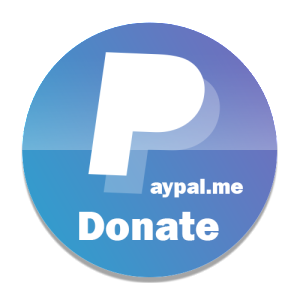 Searching for this again seems fruitless. 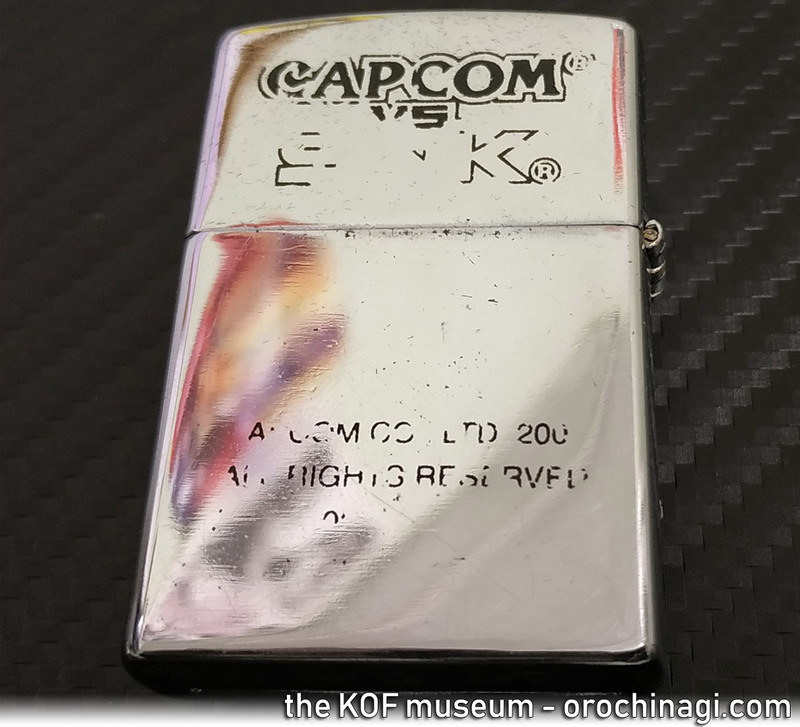 A similar lighter was found on ebay which sold for $34 by discountgames101 (not including shipping). 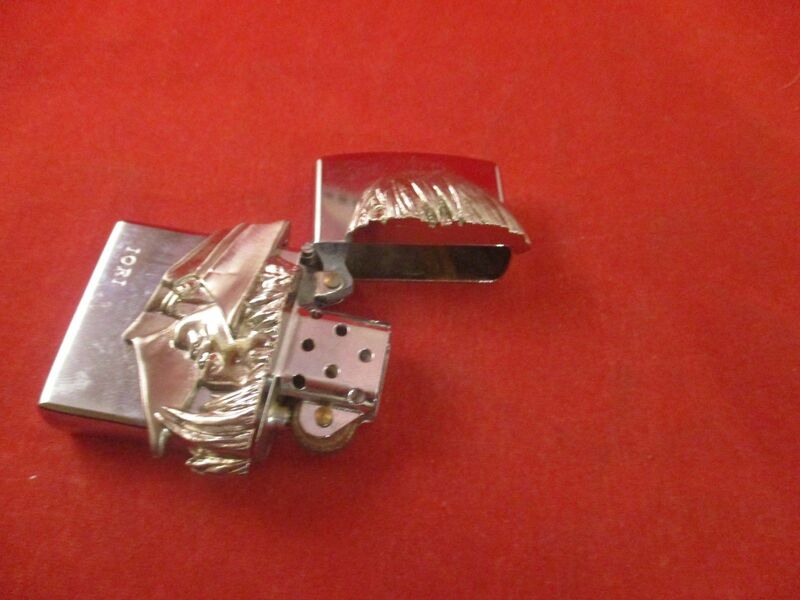 It suffered from the head falling off, which also happened to the lighter above, decreasing the value. 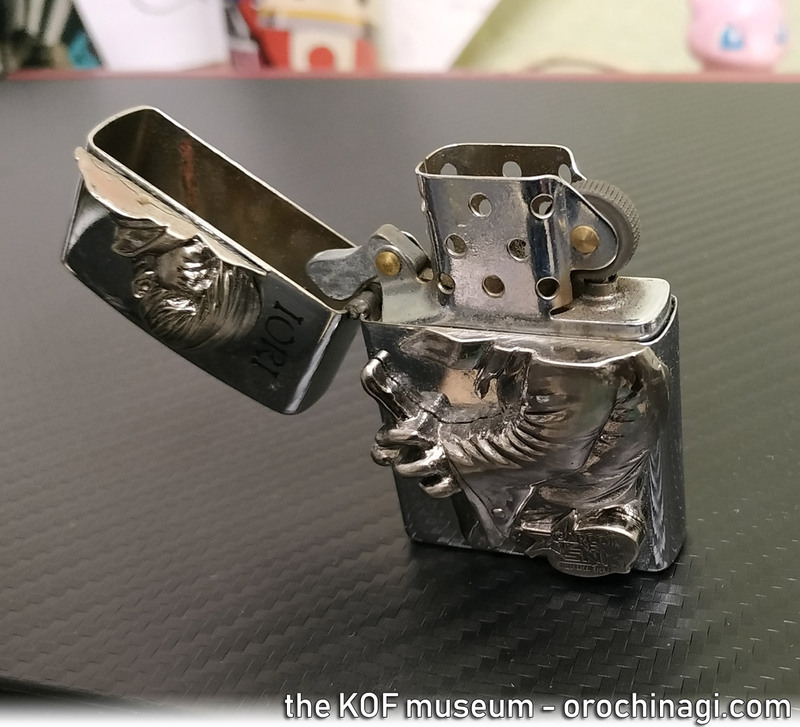 Another type of lighter was found on Singapore Carousel owned by sleepy88. 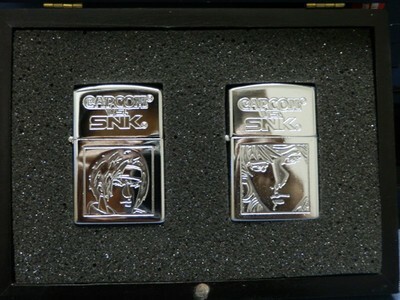 It seems a lof of producers had hopes for the popularity of Capcom vs SNK… and this was a much cheaper product. 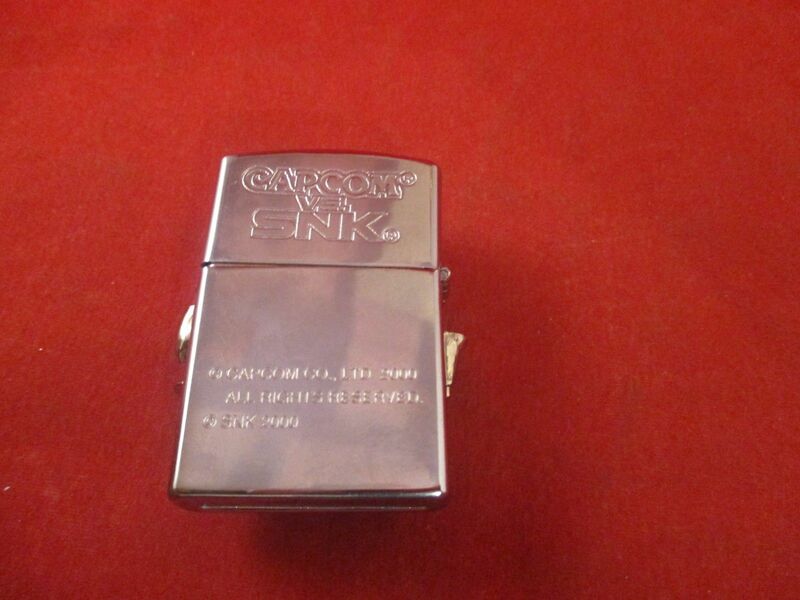 here’s another zippo sold long ago on ebay, with a simple engraving but in great condition.